Mentari Alam EKO (M) Sdn Bhd is a corporation devoted to solving problems associated with Food Waste, Municipal Waste (organic), Green Recycling Project Consultancy, Food Waste Recycling Facilities, Food Waste machine Installation and Operation Management, Engineering and Design for Environmental Protections, and Food Waste Solutions Technology. Now, food waste and leftovers need not rot in the garbage awaiting disposal. Simply collect all the food waste and place into the MAEKO food waste composting machine and have the waste converted into odourless compost within 12-24 hours that can be used to fertilise or return to the environment. 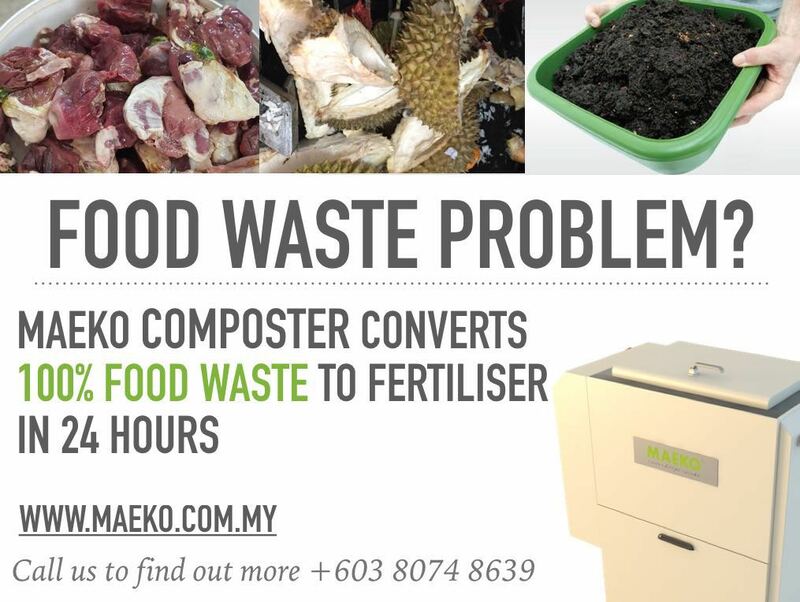 Maeko a made in Malaysia award winning food waste composting machine uses a state of the art Microbial Aerobic Compression Composting Technology with a built-in aerobic filtration system.